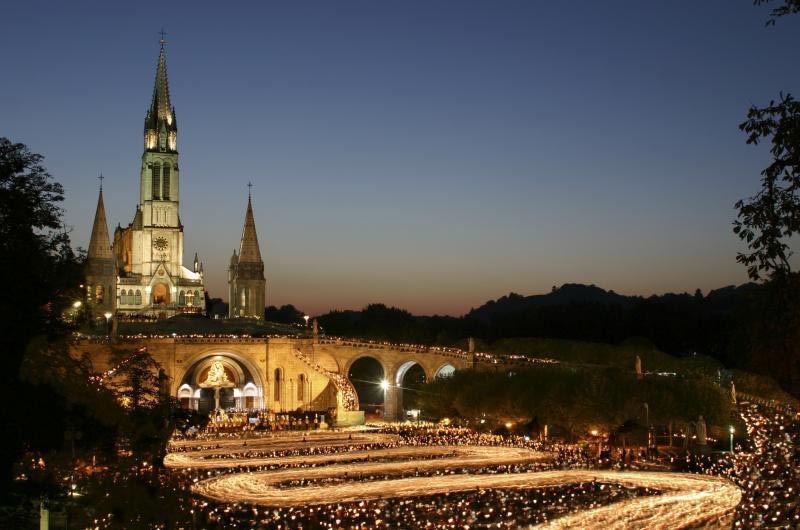 This Friday 260 pilgrims from across our Diocese leave the UK for France to be part of our annual Diocesan Pilgrimage to Lourdes. 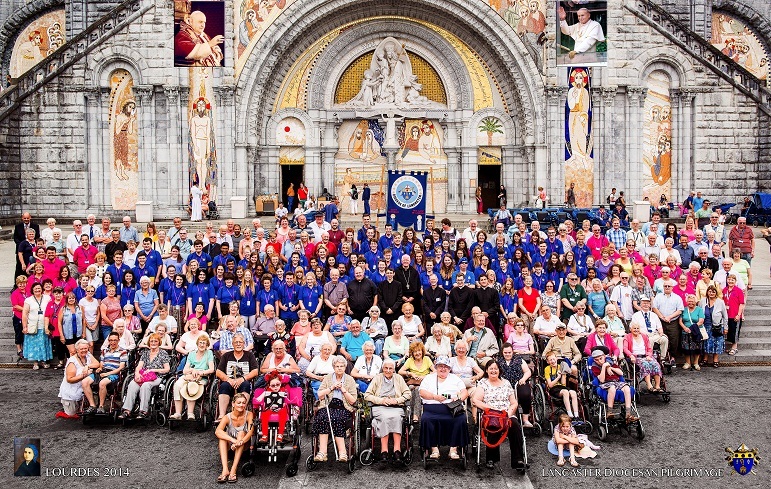 Embarking on pilgrimage will always involve making sacrifices and enduring hardships. 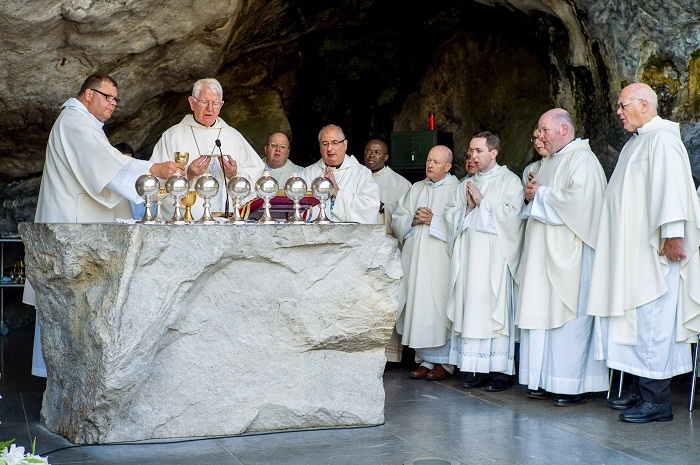 The same is true for us as pilgrims to Lourdes; the sacrifices we make to be part of this great witness to Faith will be richly rewarded in so many unexpected ways! 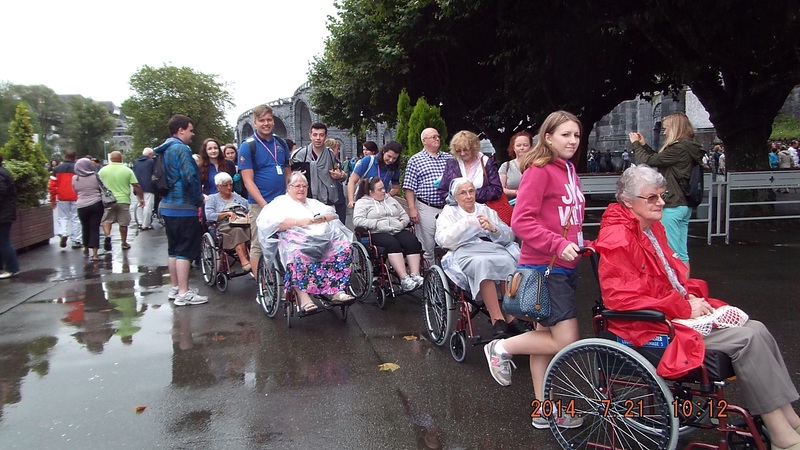 The pastoral theme for all pilgrims coming to Lourdes in 2015 is ‘Lourdes – the joy of mission’ and so we try to focus our pilgrimage along this annual guidance given to us from the shrine authorities. True conversion is always Almighty God’s initiative. The first step for us as pilgrims on the road to conversion is to recognise our need for Almighty God and His call to live even better – and happier – lives for ourselves and others, and to be open to the grace which Almighty God offers to each of us for this to become a reality. Conversion involves a new beginning which opens up a path to fullness of life and truth. It may involve the re-discovering of relationships that have become hidden or damaged because of our life experiences of hurt or personal struggles with sin and sickness. During our week of pilgrimage together the Sacraments of the Church make available for us through our liturgy, silence and music the grace necessary for such a conversion. It’s true the inward grace we receive in the Sacraments becomes an outward sign made visible in the healing of body and soul and bears fruit in the ways we live out our relationship with Almighty God and one another. This can only be a source of joy for all! 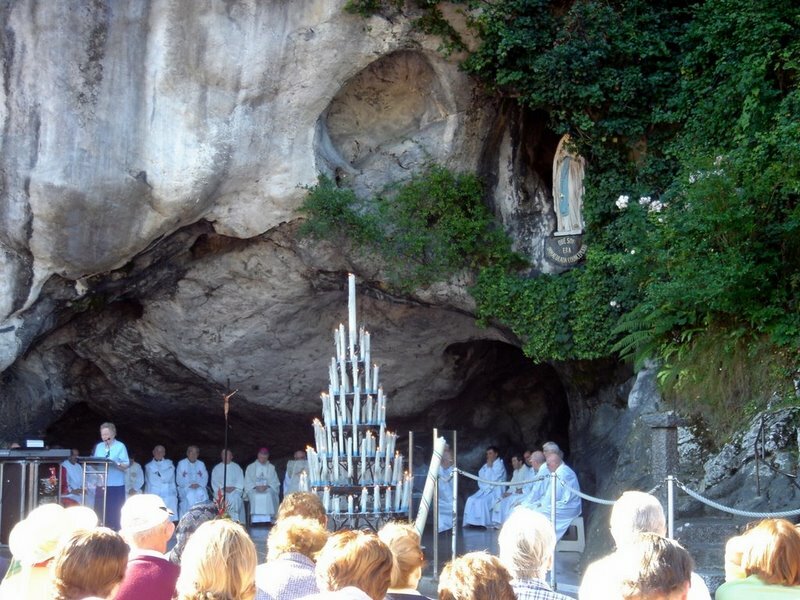 As it was for Saint Bernadette, may we be open to what Our Blessed Lady asks of us as she directs our gaze once more to her Divine Son that we too may experience the fullness of joy in His presence – and as part of His mission. 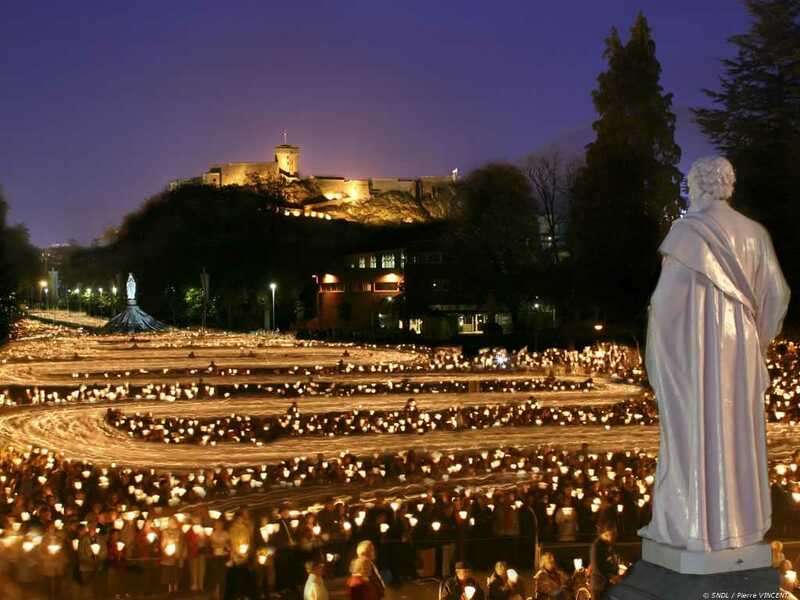 With an assurance of our prayers for all we take with us to Mary’s shrine – you and your intentions will be remembered at the Grotto! P.S. 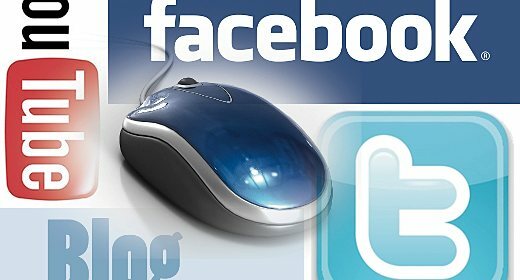 This is the last blog post here until September. 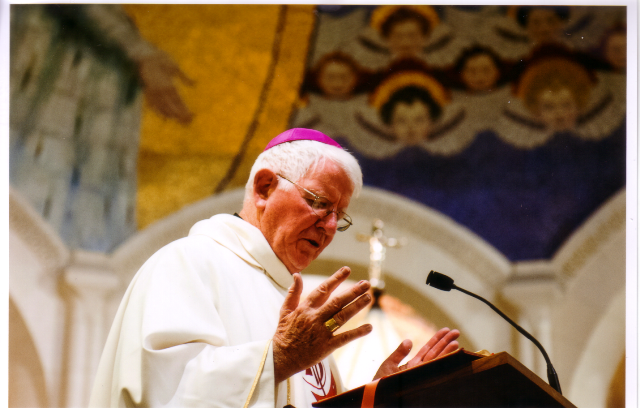 Today marks the high-point off a significant national evangelisation initiative called Proclaim ’15. 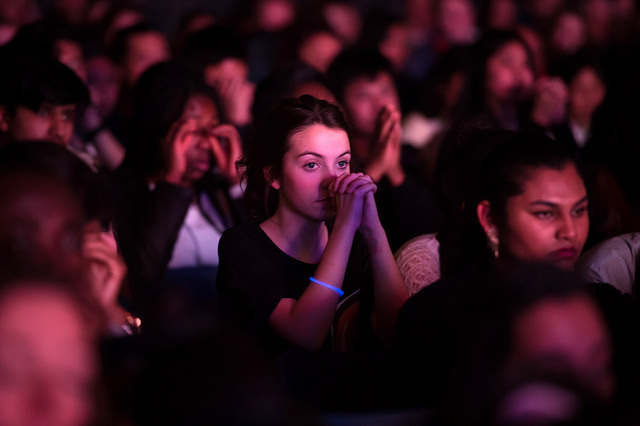 Today in Birmingham a national evangelisation conference and celebration takes place that seeks to support, inspire and encourage new expressions of parish evangelisation. 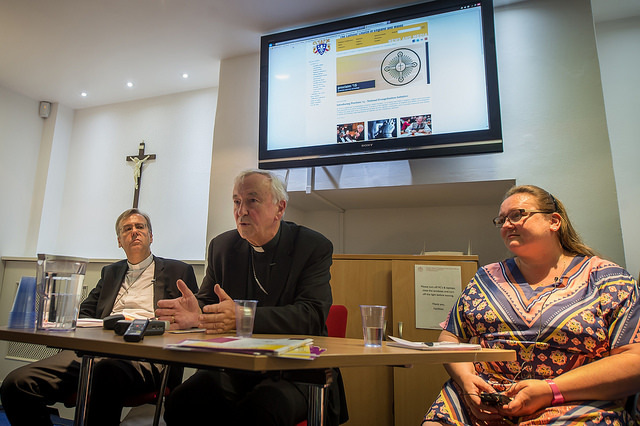 A project of the Catholic Bishops’ Conference of England and Wales, the initiative is designed to affirm and share the good work that is already being done by Catholic communities across the country, and to provide resources and events to share and grow new expressions of gospel joy, enthusiasm and missionary outreach. 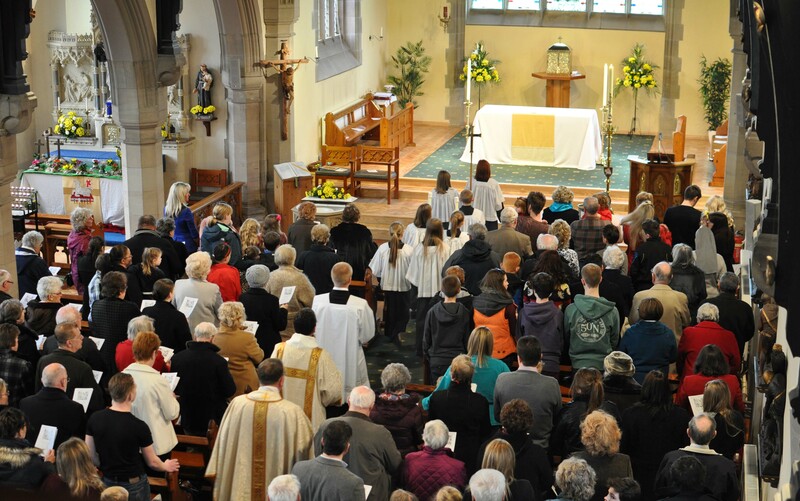 PREPARATION: Parish small group sessions – three evangelisation-themed sessions have already been provided. PRAYER: Network of prayer vigils – all parishes have been invited to host an evening of prayer on 11 July 2015. 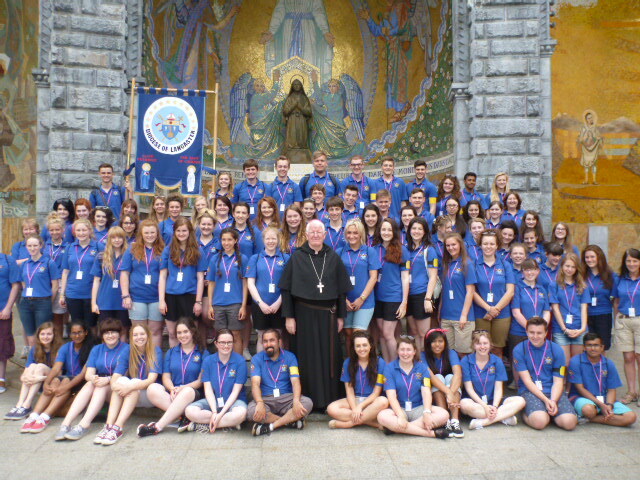 EVENT: The National Catholic Evangelisation Conference – on 11 July 2015 in central Birmingham for 850 evangelisation representatives from across England and Wales – including 20 representatives from the Diocese of Lancaster led by Sr Mary Julian Ekman RSM of our Office for the New Evangelisation. 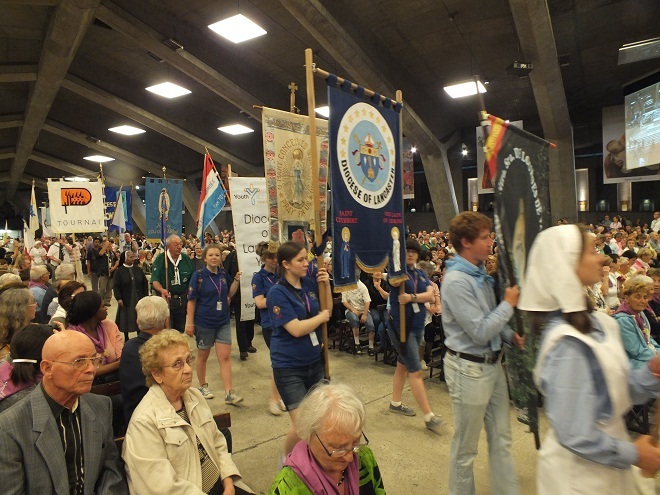 LEGACY: Local events should be planned to follow the national conference – templates will be provided online to enable dioceses, deaneries and parishes to have their own Proclaim ’15 gatherings in autumn 2015. 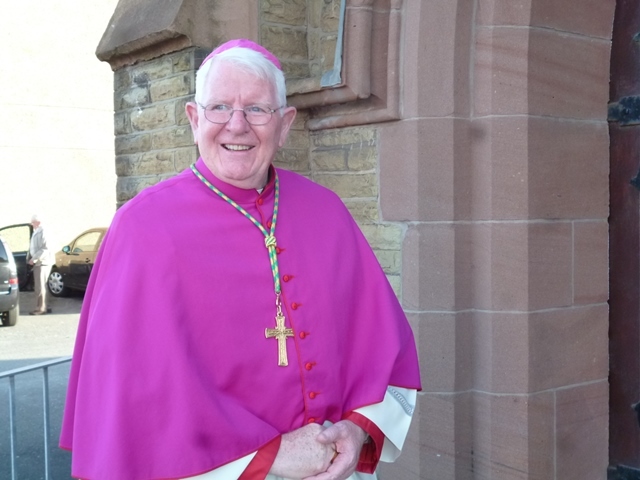 RESOURCES: New Evangelisation resources – these will also be made available as a fruit of the National Conference to equip parish evangelisation in autumn 2015. 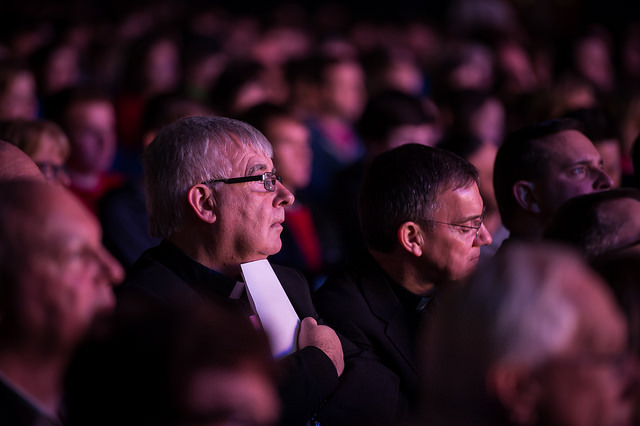 Proclaim ’15 aims to have a practical and ‘how to’ focus to its work because while there is often enthusiasm within parishes to share our Faith, it can at times be hard to know discern how or where to begin. 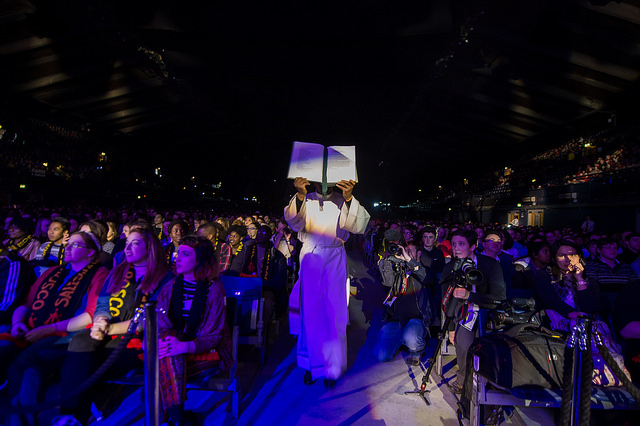 The booklet summarising the content of Proclaim ’15, includes an invitation to all Catholics to get involved so that together we can discover afresh new ways of joyfully sharing our faith as missionary disciples. I would encourage everyone to use and share it with those who may play a role in developing evangelisation locally. Everyone will be able to beneﬁt from what will be provided on 11 July in Birmingham. All the materials oﬀered on the day will be collated and published post the event to support the building of missionary parishes. The day programme includes more than 10 “how to” practical focused workshop sessions and these will be made available to every parish, irrespective of whether or not they are represented at the national event. 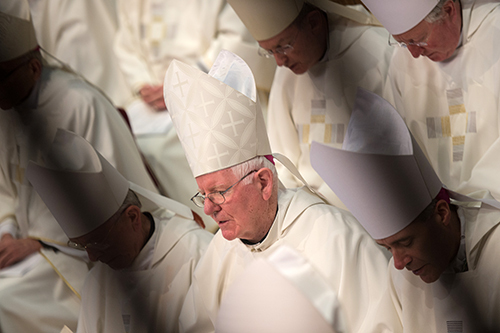 You can follow the event through live coverage on the Bishops’ Conference social media platforms – Twitter here and Facebook here. 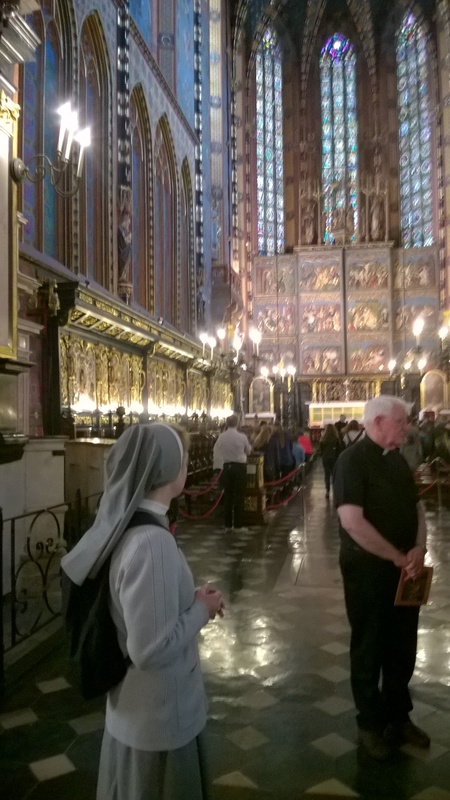 More on my Pilgrimage to Poland! 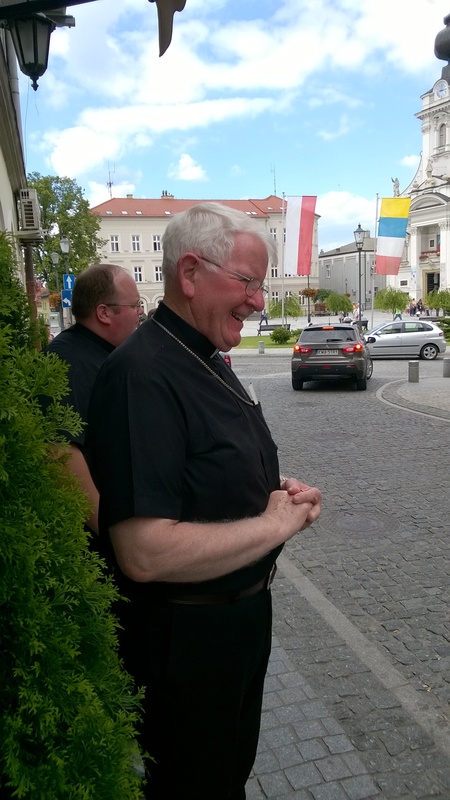 Welcome back to this week’s Bishop’s Blog where I continue to reflect upon my recent pilgrimage to Poland. 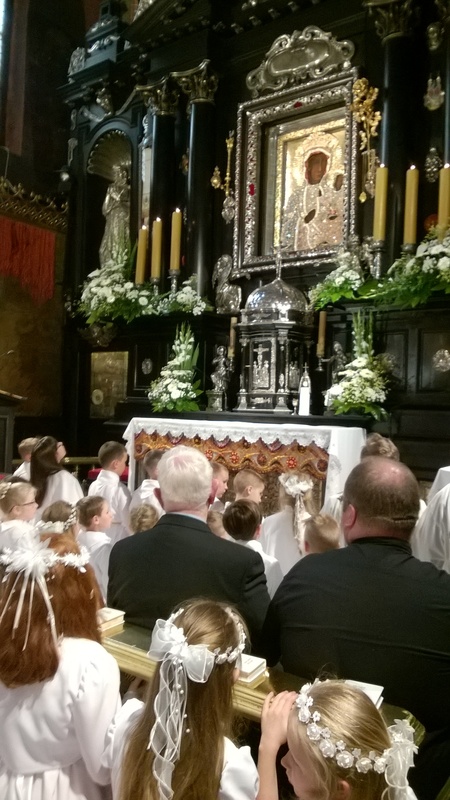 As I look back on my recent short pilgrimage to Poland, apart from the unforgettable shrine of the Black Madonna at Jasna Gora, other sacred places of interest come to mind. 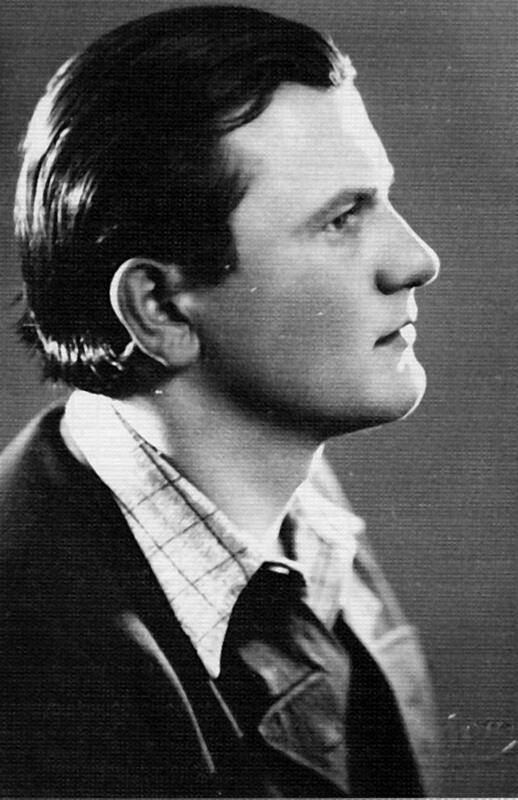 The pilgrimage to Wadowice, the birthplace of St John Paul II, would see the recently modernised museum with the most up-to-date technological presentation of his life’s story, which first began here in Wadowice, Silesia, and would ultimately take him to Rome as the successor of St. Peter. 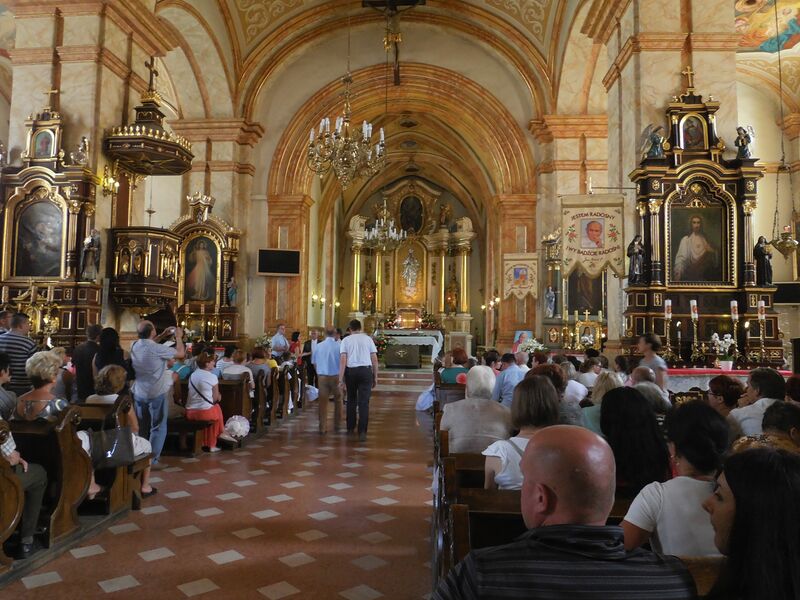 The parish church of the Presentation of the Blessed Virgin Mary where St. John Paul was baptised occupies a prominent place in the city square, and just to stand beside the baptismal font where the saint first came to new life in Christ as an infant was a special moment. I had the privilege afterwards of saying Mass in the church and that too was, I felt, a experience of grace. 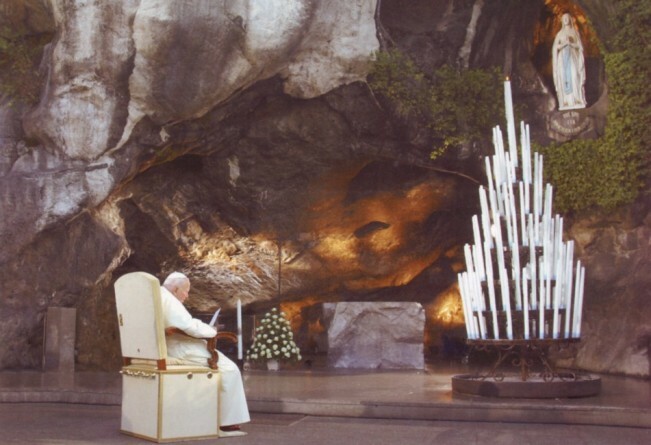 The pilgrim visitor will also see the house – now a wonderful museum – where St. John Paul lived and the area where he spent the first formative eighteen years of his life. A full set of photos from my visit to the museum is available here. 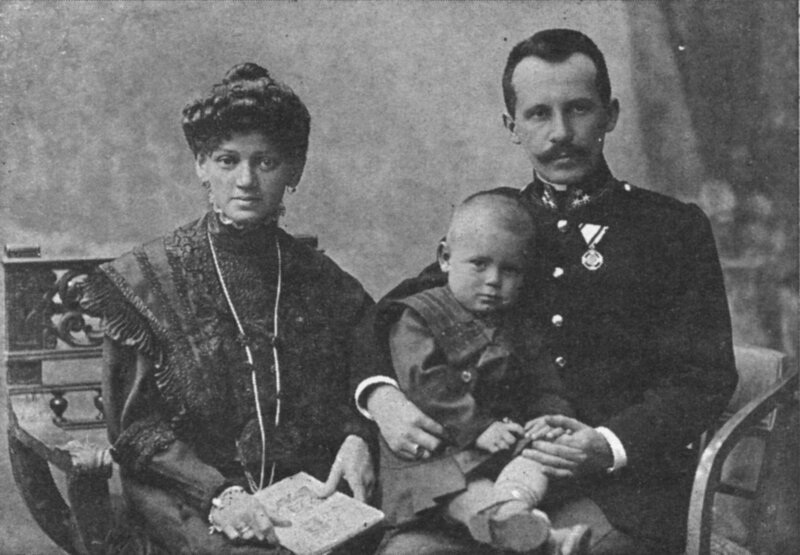 The story is well known, but to realise that it was here in this perhaps somewhat distant city the young Karol Wotyla grew up, went to school and developed his intelligence and acting skills which were to stand him in such good stead in later years, makes one realise how God’s grace is ever active even in what appear to be ordinary, everyday circumstances. There exists in the museum a fine portrait of John Paul as a handsome young man who could have taken many paths in life, but his decision to become a priest would have far reaching consequences for his country, the Church and indeed the world. 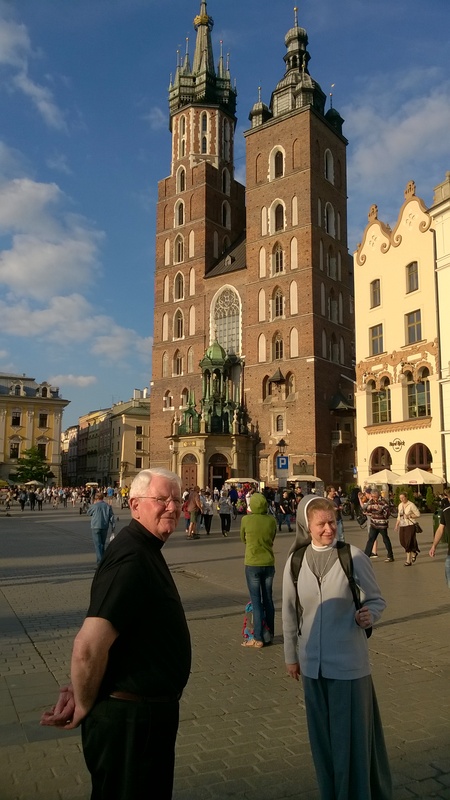 Krakow has much to offer the pilgrim, a fine city understandably replete nowadays with memories of its most distinguished Cardinal Archbishop, Karol Woytla. The city has become extremely popular for visitors from Britain and has some lovely churches and squares. 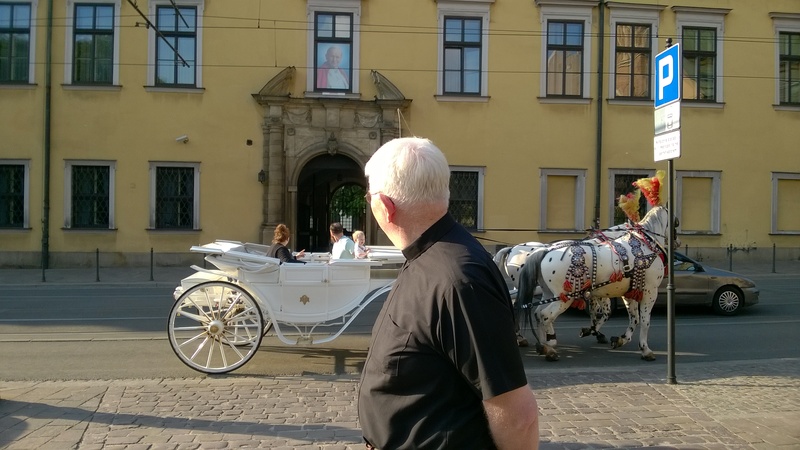 Here in the photo above I look upon the window where once Pope and visiting Krakow again he would appear to greet the young people of the city late at night. 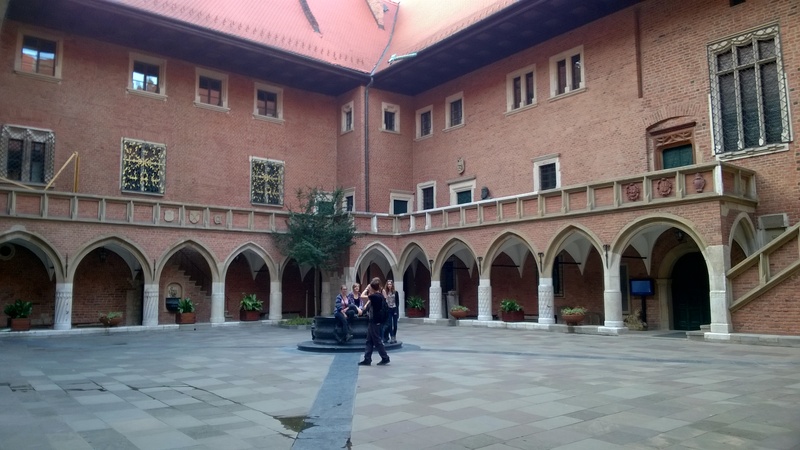 There is the Jagiellonian University and the future Pope’s own (Wawel) cathedral which he occupied during the very difficult and fraught communist era. 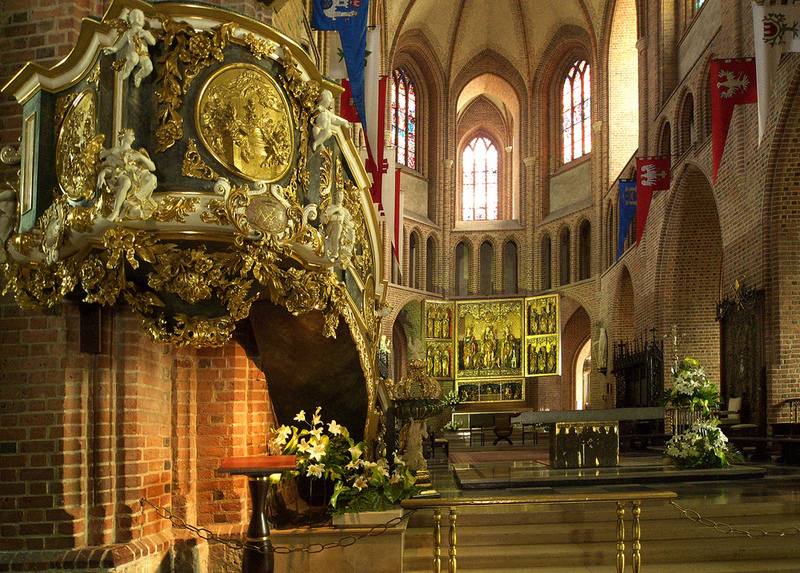 Not far from Wadowice is a monastery, called Calvary, a holy place frequently visited by the young John Paul at important moments and turning points in his life. I was unable to go there, but it is clearly visible from the motorway. My all too brief pilgrimage concluded with an overnight stay in the city of Poznan. 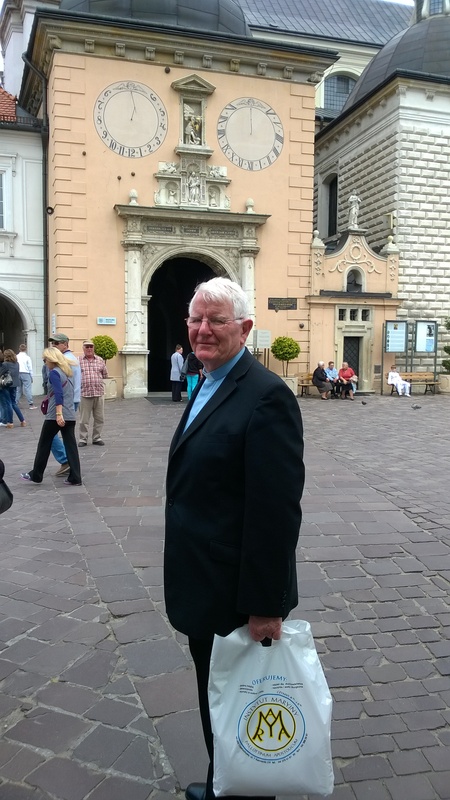 I don’t recall any direct connections there with St. John Paul, but I won’t easily forget the cathedral in Poznan which has been rebuilt after having been almost totally destroyed during the Second World War II. Apparently just a single wall remained. 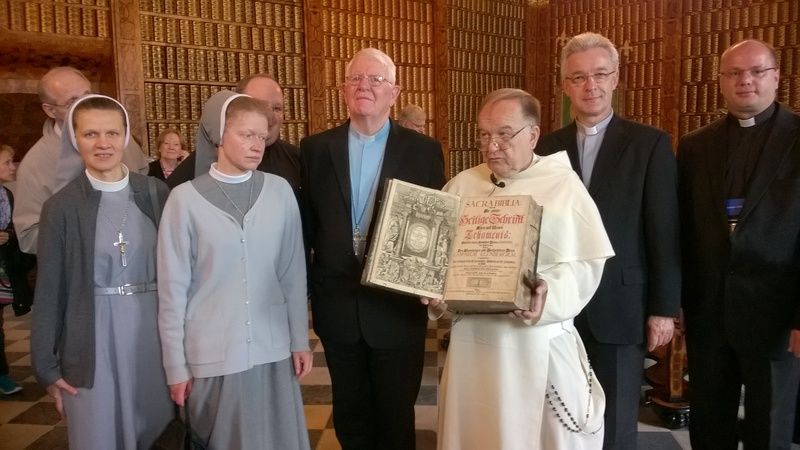 The Catholic faith and the history of Poland, both ancient and modern, are inseparable. 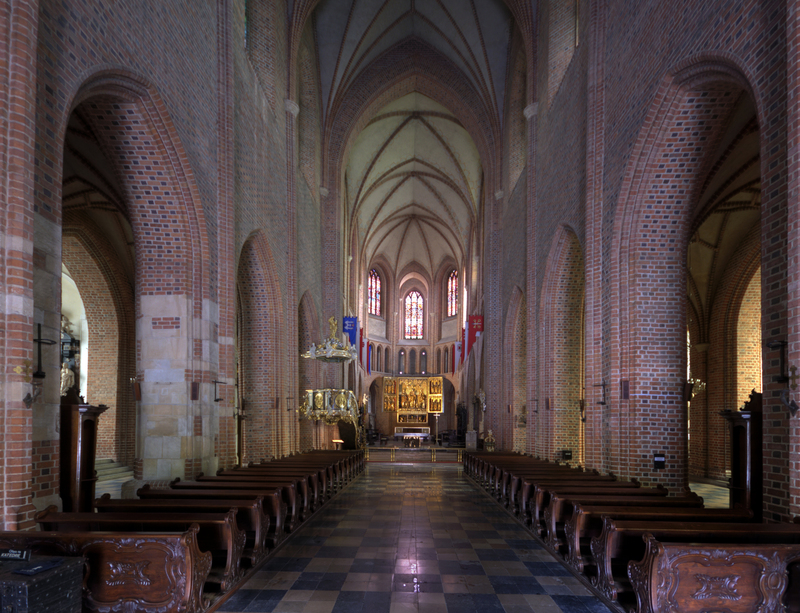 The restored Poznan cathedral, a symbol of defiance, somehow symbolises the spirit and faith of the Polish people, oppression and defeat but then resurrection and a new beginning. 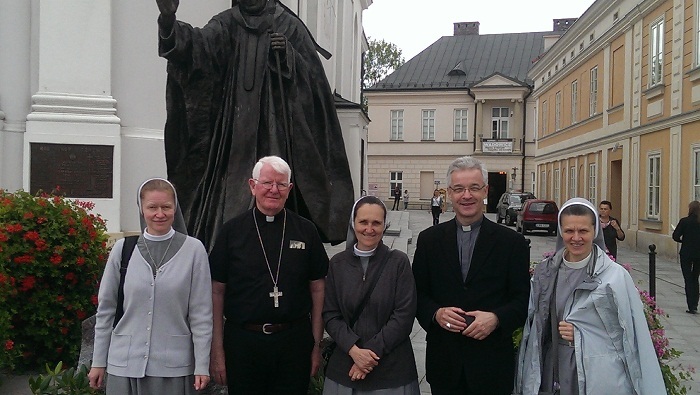 A pilgrimage to Poland is a worthwhile and deeply spiritual experience which I commend to any would-be pilgrim.